I don't live in Apache Junction, but I've spent a lot of time there. But apparently it looks so different to me that many people really don't believe that I know anything about the area. I don't know the restaurants, the tourist places, I haven't done any hiking in the mountains, the list goes on an on of things that I know nothing about. So when most people want to talk to me about Apache Junction, there doesn't seem to be much we have in common. Walk with me. Mine is the Apache Junction of a person on foot, with no particular place to go. 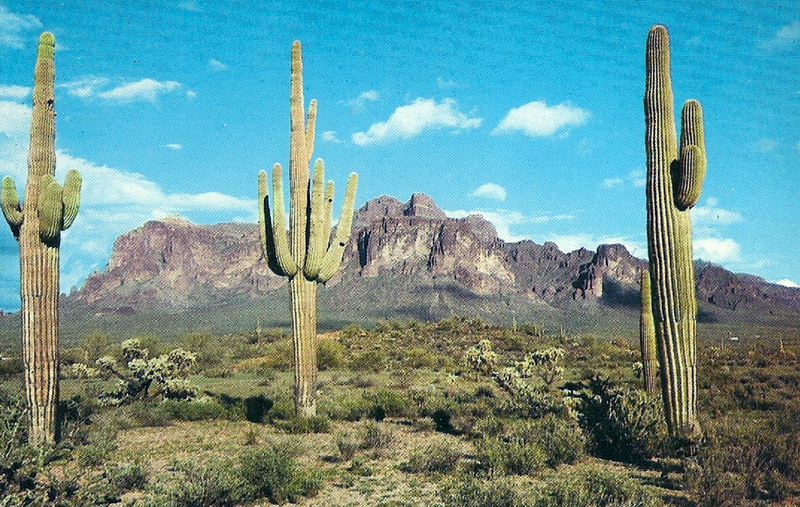 I've walked around Apache Junction, usually alone, sometimes with dogs. So that's where you start - on foot. And we're not walking across a parking lot into a building, or along a trail that's marked. There won't be anything that we can check off our list of having done, and it won't impress anyone on Facebook. Mine is the Apache Junction of Andrew Wyeth. Well, not exactly, of course, he was in Chadds Ford. But everything I ever learned about seeing the world as he saw it came from the book that his wife Betsy wrote about him, called Wyeth at Kuerners. I got that book when I was 17, and have read it more times than I can count. It amazed me that he would sometimes just go out for a walk, look at things, maybe make a few sketches, and then come back later, maybe a year later. My desire to be connected with the world of aesthetics and beauty received a severe jolt when I read a quote from him which said something about someone who was admiring a beautiful sky while their big feet smashed down on some fragile flower. And there's no getting away from that. I will choose my steps carefully, but I know just being there causes me to destroy things. Every step I take in the desert causes erosion, and probably kills something that has been struggling to grow. I'm so very sorry about that, but it can't be helped. I will walk as carefully as I can. If I see a cloud of dust rising from someone doing doughnuts out in the desert, I accept that we are both destroying the desert in our own way, just by being there. So I won't criticize others, I will focus on what's around me. And the first thing I look for is creosote. That's the wonderful plant that makes the smell of the desert, especially after it rains. I find some and squeeze the berries between my fingers to release the smell. I may take a photo, or I may not. I don't mind photography, but I won't turn our walk into a photography session, that's too distracting for me. Here, you take the leash, I'm getting tired. We must have walked at least a quarter of a mile. The shadows are getting long, and the Arizona sun is lighting up the Superstition Mountains. Every few seconds it changes, and it's worth a look. And no thank you, I don't want to look at the picture you just took on your phone, I have everything right here. I can see it, I can touch it, I can smell it. This is paradise, this is my Apache Junction. Image at the top of this post: Postcard of the Superstition Mountains in the 1960s.